Hrani gives a nod of appreciation at the illusion Mara uses to disguise herself. Magical hat or not, it is convincing beyond a simple disguise and the magus can appreciate such fine arcane craft when he sees it. It almost seems like the singer has a talent, either for costumes, or for magic, or for both, to achieve such results. They do not have long to dwell on the matter, however, the investigation of the cemetery too pressing. And really, they find a multitude of clues that makes Hrani wonder whether anyone involved in the official investigation ever even bothered stepping a foot here. So much evidence that while still unclear in its meaning, most certainly pertains to the case. How was all of this missed, if not by a lack of effort in trying to find it? These thoughts come to and end quickly as well with the roar signaling the approach of whatever build the nest. Given what they have seen, the elf is more sure than ever that they are dealing with a skin-stealer. And running away is out of the question. It is vital to secure whatever it is that is coming to this place. And the others agree, quickly hashing out a strategical plan that involves taking cover beneath the trees and drawing the creature in. For a moment, in this damp and cold swamp, on this miserable little cemetery island and a creature with a bone-chilling roar approaching, Hrani shoves the paranoia aside and huddles up under the trees with the others. Hrani finds himself standing next to multiple copies of himself. He hadn't needed the spell yet, because he was typically on the offensive in combat. But with time to spare in preparation, some defense couldn't hurt. OoC Hrani will cast Mirror Image in preparation for the fight once it sounds like the creature isn't toooo far off anymore (it has a duration of 5 minutes, so the timing doesn't need to be great, just not way premature). Can I assume from your statement about no one knowing anything about the creature that built the nest that Hrani also doesn't know how different energy types affect Skin-Stealers or Fey in general? Pike cannot quite put his finger on it, what the potion is. His first thought is that it is a potion, of course, and then he wonders if perhaps he's wrong. But then, no, he can't be wrong. It has no effect on him, and that follows the small amount that he ingested, but still. He should know something. It's frustrating not knowing. But for once, Torsten Pike is stumped. The others, looking around, come up with little definitive that can help them, which while irritating, is more common for them. Hrani, meanwhile, remembers more about the Skin Stealer, about the nature of Fey in general, and is overall vexed at the identity of the secondary Beast. Indeed, if it was this easy, it's a wonder any investigator in Vieland still has a job. But then, they are just simple mortals. Then comes the roar. It is bestial, deep and primordial, echoing through the bones of each of them as it rings through the trees, rattling the boards of the bridge behind them and the wicker boat they've found. It is a powerful roar, and the fear they feel inside of them calls back to darker days, to the time before light, the time before mere Mortals ruled Golarion. This creature is ancient, a beast unlike most in Ustalav. An ancient land, yes, but what lies ancient still in Ustalav is likely undying. This thing has a heart, a soul, and a burning desire to devour and destroy. It returns, likely in proximity to their being near its nest: perhaps their scent was the reason it picked it up? Everyone ponders this curiosity, everyone having their individual accusations. Was it the fishy singer, who hides her true nature behind the finest scents? Is it the Dwarves, musky in their impressive manes? The holy warrior, heavy in her armor? The Gnome, goofy in his magic garb? The Elf, wielding his blade and who knows what kind of ancient baggage? It could be any of them. It could be none of them. But with the weight of the beast's call on their shoulders, it doesn't matter who did it. They have to prepare, and so they do. It is a natural transition, one for many of them that is now familiar. Harrowstone forged them, and now against this beast, they are practiced and prepared. Not even the Phase Spider scared them, and now, even if they are scared, they are tempered. For their part, Fido and Signy are tempered too, no mere childlings let loose on the world. Signy moves into rank with her fellow holy warrior, a kindred calling between the two armed sisters of their faiths. As many Hrani appear, just as they do Fido places his hand on the back of the Elf, which suddenly makes Hrani feel more feral, more... feline. "You seem like you'll need this more than I will. I didn't come prepared for fight, but I can Cat's Grace, +4 to Hrani's Dex, for a total of 23, for 5 minutes/50 roundsat least help those who are." Everyone is prepared for their oncoming foe. But its arrival is anything but expected. This creature has a vaguely humanoid head, the body of a lion, and the wings of a dragon. Its tail ends in long, sharp spikes. Flying strongly around the whole of the island in a fell swoop, it swings its tail, which throws off some of the spiked barbs on it, directly at Nat 1Runa, 21 to hit, 7 damage, 20% chance it misses via Partial ConcealmentSigny, 13 to miss (barely! )Torsten, and Unnatural 20 to miss, but roll 20% to miss via Partial Concealment, and if you fail, you lose an ImageHrani. The beast does not land, but instead looks around, making eye contact with everyone. "MY ISLAND! MY NEST! LEAVE!" Welcome to combat, mes ames. Welcome to the realm of the monster. I rolled Initiative to simplify the process of asking everyone for theirs, but I will need that for those who haven't rolled for Chapter V.
To answer your question, Inem, you have no idea what this new monster is/the owner of the nest, and I'll allow for the appearance of the monster for it to be a new check, since a nest is a very different thing from an actual monstrosity. DC 15 to identify once you figure out which Knowledge to roll. As for your K (Nature), you did earn enough to know the general stats of Fey, and the weaknesses of Fey and Skin Stealers. Per discussion, the Nest is in three trees overall, potential four but one of the trees, a smaller one, is just close to the nest, not actually a lean-on. I included a map but no miniatures. Huzzah! Ignore the water, we're in the wrong season for that. That's Sass-Fiat. I plan on giving everyone partial concealment, and thus 20% chance to miss. You will be rolling those. 1-20 is a miss, 21-100 is a hit. The creature is about 30 feet up in the air right now, flying. Hopefully I haven't goofed too much. Let me know in the OOC. Oh Menticore, Oh Myticore Fido should have seen it coming, and nobody was chastising him more than himself in the moment that the beast appeared above them. He'd been too involved in Pike's process, in watching how the dwarf approached the mystery, to notice the signs. In truth, he was still a bit sullen about the whole meeting and had spent the bulk of the travel in introspection. But now, as he looked up and examined the breadth of the nest, the way it overlapped the trees, he saw it. The way the creature flew, the stress of the motion, spoke of extra bulk. "A manticore? Truly...I've only ever seen anatomical sketches." He reaches into one of the many tubes on his belt and produces a roll of vellum from inside it, snapping it downward with a fluid motion. It stayed open despite the laws of physics, the paper stiff and flat as he holds it in front of him. Not like a book, but rather like a shield. "Or, technically, I suppose this is WOmanitcore given that it is pregnant." He looked around for the nearest tree trunk of hunk of rock from behind which he might plan his next move, taking cover where it was available. "Don't let that dissuade you, of course. It's a flesh eating monstrosity with air superiority, it would no doubt pick off any people in this area to feed it's young." He considers the spells he'd secured in his mind for the day, disappointed in not having predicted this kind of fight. He'd have to improvise, so he went for another scroll in another case. A glance toward the glaive-wielding woman on his right and a 'come hither' motion given. "I'd say those claws are more frightening than the tail spikes, but if you aim to face it I can get you up there." OOC Move action to retrieve scroll with Decapitate on it. Move action to retrieve scroll with Fly on it. Last edited by PopCultureBard; 10-12-2017 at 09:36 AM. “Pregnant?” Mara looks at the gnome, her eyes wide with surprise at the revelation, then squints up at the flying monster, unable to discern any outward manifestation of its progeny. “How ever can you tell?” Granted, she does not have the keen eyes of some of her companions—she glances at Pike, as if seeking his confirmation—nor has she even heard of such a creature before. She holds up a hand. “Wait a moment—allow me to talk to it first. Perhaps we can reason with it.” She had not expected the creature to be able to speak, but with the ability for communication, it would be a tragedy to not at least try—Fido's claim of a flesh-eating monstrosity notwithstanding. The singer takes a deep breath to steady herself, then faces the manticore, waving her arm in a broad sweeping motion to attract its attention. “Pardon our intrusion,” she calls out in a cajoling, silvery voice, “but we mean you absolutely no harm. Nor do we intend any harm to your nest. It is indeed our intention to leave, to grant you the peace you desire, but we ask your leave to stay but a while longer—we are in the midst of an important investigation, and require some more time, perhaps an hour or so at most, to conclude our business. We would be ever so grateful for your generous understanding in this matter.” The soprano's speech gradually assumes more and more of a sing-song quality, evolving into a hynotic recitativo as an undercurrent of subtle magic slowly suffuses her words. Full-Round Action: Cast Enthrall on manticore (Will save DC 17). Btw, if her spell succeeds, it seems that the manticore would take no actions. So I'd guess it would stop flying and suffer 30' falling damge? The creature that finally appeared and whom the roar obviously belonged to was not one that Signy had seen before. It seemed almost like a grotesque, twisted version of a griffon. Or at least of a griffon as a demented creator had imagined it. Between the human like face, the clawed paws and the various spikes all over the beast’s body, there was enough to keep the paladin’s attention away from getting her shield up in time to block the spike coming in from a maybe not unexpected, but certainly unusual angle. She gave a pained grunt as the projectile found one of the gaps of her armor and bored into the flesh beneath. It wouldn’t be deadly, but it most surely was irritating. "Talk to it?" Signy sounded very doubtful about that option. If it was really preying on anything that could provide it with fresh flesh - and she had no reason to doubt Fido - then the people in the village surely were in danger. Especially once it needed more food and could not leave its offspring alone to roam too far. Despite her lack of understanding she neither said more, nor switched to the crossbow at her belt. She did however take a step over to Mara to interpose herself between her and the manticore should the creature decide to attack the other woman. Move closer to Mara and ready an action to get between her and the manticore if it attacks the singer. The flying manticore is certainly not what Hrani was expecting, though it is a beast fitting of the roar that announced its arrival. And before the group has really had time to gather its senses, they find themselves besieged with a rain of darts. The cover of the trees does help a little, though not as much as one might hope, and quicker than he would like, one of the elf's duplicate images vanishes. Fortunately, 4 Mirror Images remaininghe still has several to spare. Hrani doesn't hesitate in responding, either. The beast had attacked him, as expected, and he was ready with the counter-attack before the manticore was even done speaking. Not having any needles to dodge because they were aimed at a fake Hrani had certainly helped expedite the process. And so, as Mara begins speaking in surprise about perhaps being able to reason with it, the elf has already focused all the cold within himself into his hand. It is a strange sensation, given the cold, damp, oppressing swamp around them. By comparison, the arctic blizzard inside his veins reminds him of the snow covered plains and mountainsides of his home. It is a much more pleasant cold, at least to the elf. In a sense, in this harsh environment. It even warms him. So he is all the more sad to see it go, but he has plans for all that pleasant cold. Plans that will be rather unpleasant for the manticore. launches the huge ball of snow and ice he is now holding at the beast that is standing in their way. The ball explodes as it impacts the creature, raining down small pieces of ice and snow, but in the ensuing cloud of fine powder snow that briefly covers the sky it is hard for Hrani to make out whether he had any success with his attack or whether the Manticore managed to block it. OoC As per Sass' OoC note, the attack will go in before Mara's spell and her call to the others to stand down. Saves me dealing with the issue that Hrani would be sort of hard to convince not to return fire. Standard Action: Cast Snowball spell. Ranged touch attack of 22 should hit. 13 cold damage. If it's a hit, the manticore needs to make a DC14 fort save or be staggered for one round. Last edited by Inem; 10-12-2017 at 03:33 PM. Unbeknownst to her, but perhaps not altogether surprising, Runahildr's thoughts went along the same line as Signy's. Sure they might be able to circumvent a fight with the manticore now, but someone would have to face it eventually, or Morast would suddenly find itself prey for the monster. Or monsters, if Phidolis observation that it was pregnant was precise. But they weren't here to fight the creature, and they were on a tight schedule, so if they could move on and report their findings, including the Manticore's nest, to those more adequately equipped to handle it, then that might be for the best. "Hold on that," she replied to the gnome's offer to boost her into the air with magic. Ready Attack if Manticore gets within range.Keeping her position, her shimmering glaive emitting a faint scent of ozone from the electricity dancing up and down the blade, she glanced to Mara, giving the songstress the benefit of the doubt and try to reason with the savage beast. It is only through sheer luck that Pike isn't pierced by the spike as it snags his shoulder but doesn't penetrate the leather. Standing behind the more capable of the group he winces at the prospect of Mara being able to persuade the monster to talk after Hrani's counter attack, yet there is a body in the tree so the Manticore already has a taste for human flesh - meaning they need to put it out. Still he'd hear it out should it be wiling to talk, but just in case he takes aim at the flying beast, ready to loose a bolt should it make a move against them. Ready an action to shoot if it makes a hostile move. Terrifying as the Manticore is, it is still a being subject to the whims of magic. And magic is a great and terrible thing, if it can command a beast such as a Manticore. Fido, speaking loudly as he sees the creature, recognizes it instantly. An ancient beast of legend, supposedly made from the parts of multiple mundane beasts by a mage clearly out of mind: so many magical beasts are. Manticore are more common in warmer enviorns, though, closer to the Inner Sea: they were supposed to have originated in Osirion or in what is now Taldor, in the days before the Starstone, but so much of Avistan's history is cloaked in darkness and is unbelievable. Runelords this, Starstone that: who the Hell knows? What he does know is the fact that the Manticore is pregnant: now that is an interesting fact indeed. Interesting, but not enough to turn blades and pain away from the beast. The tree line is not enough to obscure the Manticore from the wrath of the righteous. Signy, hurt as she is, watches and listens. A gigantic snowball goes up, slamming into the ribs of the creature and showering down a rain of ice and snow that dissolves safely before it reaches the ground. Hurt though it is from the roar, the Manticore is not quite as staggered as one might expect, perhaps her flight pattern Save: 24 vs. DC 14taking part of the attack. She glares daggers down at the Elf through the new mist, giving Hrani rise to fear the creature and not realize anything about it. Like Signy, Runahildr watches, and waits, and Pike prepares a crossbow shot, as the creature above them roars, looking to perhaps move and throw more spikes. The command word echoes through the trees like a roar of its own, but calm, collected, soothing. The Manticore almost stops midflight, its face changing from a ferocious grimace to something more like enthrallment, its face turned directly downward towards Mara. Then, flapping its wings, it circles, its posture not that of a predator but of a mere creature, curious in its actions. It flies, then lands safely on the other side of the island, obscured by trees. No one can interpret its actions as hostile: it remains completely unobscured in all of this. Then Mara speaks, more. They mean her no harm, and that much is somewhat true. They can defend themselves, but had they known that a Manticore lived here now? But she requests that they be allowed to stay, to investigate a matter that cannot wait. The Manticore listens, upright, though clearly injured on the side that Hrani hurt. Signy and Runahildr stand before Mara, stalwart defenders ready to protect her to the last. The Manticore, staring, watches, and considers her words. They are not honeyed, but sincere, as sincere as a Manticore might need to be convinced. "I hunt. I return. Do not be here when I return." The flaps her wings, throwing herself into the air, and is gone, turning back and flying away from the island, and from the village, to hunt. Mara has done it: she has defeated the Manticore with her words. I'm so mad at you, ekidnu. Alright, combat is over. Are we going by hallmarks, or by XP? Cuz that's some serious stuff right there. That was brilliant, in every sense of the word, even if it drives me nanners. You lot have an hour. Take 20s at your leisure to climb trees, investigate, etc. etc. The graves and nest are your oysters, so to speak. Last edited by Sassafrass; 10-14-2017 at 10:23 PM. “Well,” the singer seems momentarily puzzled, then beams brightly as she tucks a stray lock of hair back behind her ear, “that went rather well, wouldn't you agree?” It was a strangely exhilirating feeling, so unlike the troubling sensation that accompanied all her previous spells. This time the magic felt completely natural, so much so that Mara was initially unaware of its presence, seeping unconsciously into her voice like it was always meant to be there. It was only after she had spoken her piece that she realized, with a shock, that she had unknowingly cast a spell upon the manticore. But she can sort out the implications of that later. Pike lowers the crossbow, jaws working furiously as he chews on his cigar "Well done Miss Mara, well done." he says, his eyes not leaving the retreating form of the beast. He shoulders his weapon with his glance going to the nest above and the body within it "Give me a minute, I need to do something before I check the nest. Perhaps someone can start working on the graves while I take care of this." He looks around, nodding to himself as he makes his way swiftly about the Boneyard, picking up a plant here, a mushroom there and some ashes from the firepit before he runs back to the carriage where he unfastens his small alchemy lab and goes to work. Within few minutes he is back, his face cold and grim as he silently makes his way to the trees. Once there he grabs a vial from his belt and quickly downs it and immediately he starts to float up towards the nest above. He spends a good couple of minutes examining the nest and the body within, making no sound as he works - not even soft whistle as he usually does when the clockworks in his head are in full motion. 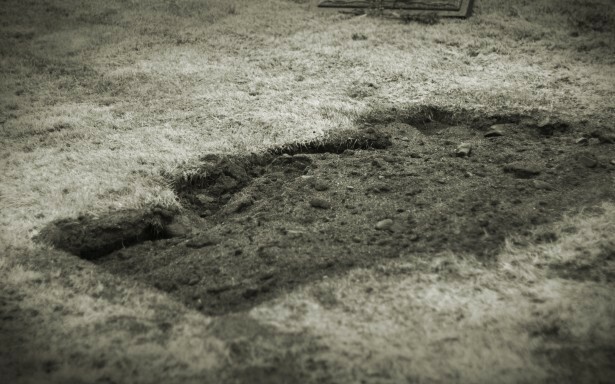 Soon he descents back down and walks over to the graves, hoping his companions have been able to find anything of use. Use Levitate spell on self. Last edited by Cedric; 10-17-2017 at 06:10 PM. That music could soothe the savage beast was all well and good, but apparently, their songstress didn't even need tunes to keep this particular beast down. Runa kept watching the Manticore as it flew away, promising death to anyone still in the vicinity when it returned. She was torn. Not having to fight the thing was a blessing when that was not their original goal, but now that she knew it was here, she felt it was in part her responsibility to prevent it from harming the local community. She'd have to report this to someone else and hope they were adequate to take down the thing or drive it out of foraging range of human settlements. Especially if it was pregnant and soon would be needing food for more than just itself. "Hmm," she exhaled noncommittaly when the monster was finally out of sight. "Let us continue then, and move away. Morast should be warned about this new threat on their doorstep. She spoke the commandword to extinguish the crackling energy flowing along the glaive and moved over to Sigyn. "I can assist you with dressing your wound, should you need it?" "Well, I'll be..." Hrani says, watching, mouth wide open. He had always known Mara had a silver tongue, but this was beyond anything he had seen from her so far. Incredibly beyond. He had spent years training with blade and spell to become a mighty warrior...and here was this woman, pretending to be a human, who with her voice did things that were beyond any magic. No matter how long Hrani continued on his journey, no matter how much time he spent in silent study or loud training...he would never be capable of duplicating this feat of natural ability. "Well done indeed, Mara. That was...very impressive." "Yes, it was, wasn't it? Such a powerful gift...could be quite useful to control. And with such a pretty face attached to it nonetheless...' Orenmir's words in the magus' mind send a shudder down his spine. That was an unusually dark tone, even for his sword. Wasn't it? Signy didn’t quite believe her eyes. The manticore really turned tail and left them to continue with their investigations! Impressed, she turned to look up at Mara. "I wouldn’t have thought that possible. Well done!" Of course, in regards to other prey the creature might seek out, the problem had only been postponed and not solved, but hopefully they could get a warning about it out to the right people - starting with the folk of the village. The paladin was just about to assure the other woman that, really, the wound was nothing and would mostly just need to see the barb removed, when the singer had already brought a wand to bear. The healing magic drove the irritant out of the wound, entirely closing it behind the barb. A moment later, only a small hole in the gambeson and a blood stain told the tale of the wound ever having been there. "Thank you." Maybe there was something to be said about having faced danger together, she pondered. It was said that it bound people together. Maybe it would make their efforts here easier. "I will give you a hand," she proclaimed a little later and strode off together with Hrani, retrieving a tool from her backpack that obediently changed into a spade. She didn’t much fancy climbing into a tree and besides, this way she could make sure that the dead were not disturbed more than was absolutely necessary. Check the graves, too. Take 20 on perception is, well, a 20. The Manticore dealt with, they get to work. The most important of these works is to heal Signy, injured by the Manticore's lashing out. A terrible business, but the wound was neither poisonous nor deadly, and the healing goes a long way. As the healing and treatment of the wound goes on, Pike goes forth to investigate the nest, levitating upward to the strange nest to see what the Manticore hoards in her preparation. He saw from the ground, but the Dwarf regrets rising up. The nest itself smells worse than the area around the tree below, holding the bloated body. Dead a few weeks, at least, the body belonged to one of his kinsman, a Dwarven traveler of some sort who had on him a compass, now broken, and a crest indicating his homeland as the Five Kings Mountains. Whichever he served, he does no more, and rotten, the Manticore is clearly waiting for the meat to spoil to just the right level before she devours it... or lets her spawn do so. The body's vest carries several pockets, which have some items of note. Beyond spoiled and rotten rations, there is an oil of some sort, almost silver white in color, a bag of pungent yellow powder with a symbol of healing on it, a staff with two snakes wrapped around it and a psychopomp raven atop it. At his hip is a flask, finely made with a symbol of Torag on it, within being a fine Dwarven brandy, unspoiled by proximity to the body, and a crimson purse containing platinum and gold pieces of Five Mountains, Ustalavic, and Druman make; unsurprisingly that he's traveled through Pike's homeland. There is a letter, in a scroll, that he notes is written in Dwarven, but before he can read it, something else catches his eye. Opposite the Dwarf are two magic items: a fine shortsword bearing a ruby in its pommel in an almost Iomedaen fashion, and a wand, set in white ash, carved to look like a ghost. Below, Hrani searches for magic, finding the oil magical alongside the wand; the powder carries something faint, but that's typical of alchemical findings. This done, he and Signy, using the rusted shovel from the wet pack, go to the six disturbed graves to investigate them. Reaching the, they look plainly different. It is as if the graves have caved in, as if the dirty in the graves has sunk a bit. Digging carefully in the first grave, they find nothing in it: the body is gone. Logically, the Elf and Dwarf realize, the lack of body would explain the difference. Coffin or no, that's a lot of volume no longer taken, and thus the ground would be sunken in. Checking the other five and alternating between primary diggers, they find no bodies in those graves either. A simple deduction: someone robbed these six graves. Another simple deduction by both: the dates on the graves indicate that they are the six most recent graves in the boneyard. Carefully chosen, and likely by whoever set up this camp. The Gnome has himself been busy. Analyzing the silver tools, he has looked them over and made a few discoveries of his own. To Mara and Runahildr, he makes the comment. "These are surgical tools, finely made, and possibly local in make as well. I'm not sure as to the significance of the raven, perhaps invoking Pharasma and her psychopomps, but these would be used by surgeons, physicians, and chirurgeons. Someone who deals with cutting things carefully and with precision." Holding up the removed facial skin, he seems troubled by what he's found; he briefly looks at Signy, then back to the two he speaks. "Likely whoever cut this off. Someone with a practiced hand, and a small one, from these tools." Fido holds his tongue, his jaw clenched, as the thought goes out between Mara and Runa: a practiced hand that does not belong to the gigantic Sully. As Hrani and Signy finish, Pike returns from the nest. A new smell has risen up, but it is faint, intense within the realm of the body. Pike disturbed something within the rotting flesh, and now that it is not winter, it will rot more freely. If the Manticore does not get to it soon, it will be for the carrions. There's not much else for them to do. They have plenty of things that they've collected, and plenty of questions. Their hour is but half up, but the roar from the nearby woods rings out, almost a howl at this distance.